Regus Group is the largest provider worldwide of flexible workspace with a new network of offices across the GCC. Their latest addition in 2013 a new contemporary and sleek space in Emaar Square Downtown Dubai, where artworks were required in the offices and corridors. 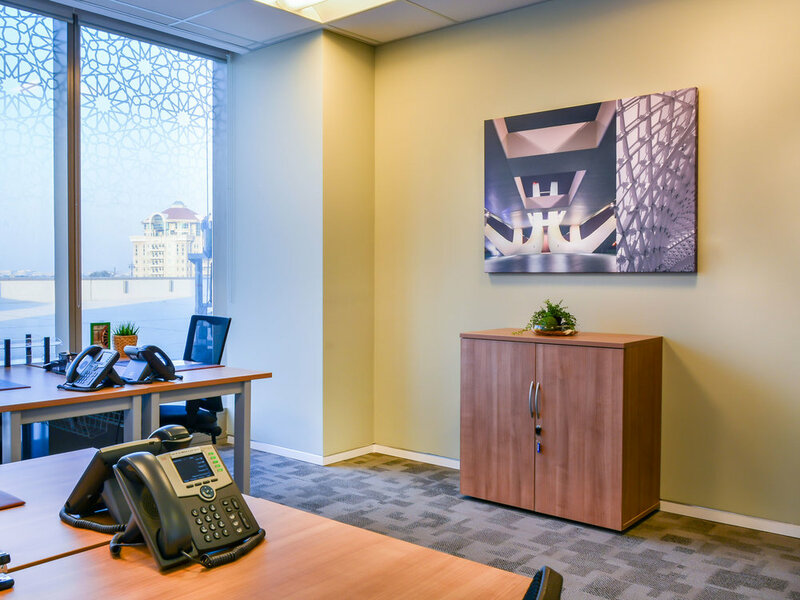 As a company with global reach it was important for the artwork to reflect the international network of Regus offices, while emphasising the specific positioning of this branch in Dubai. 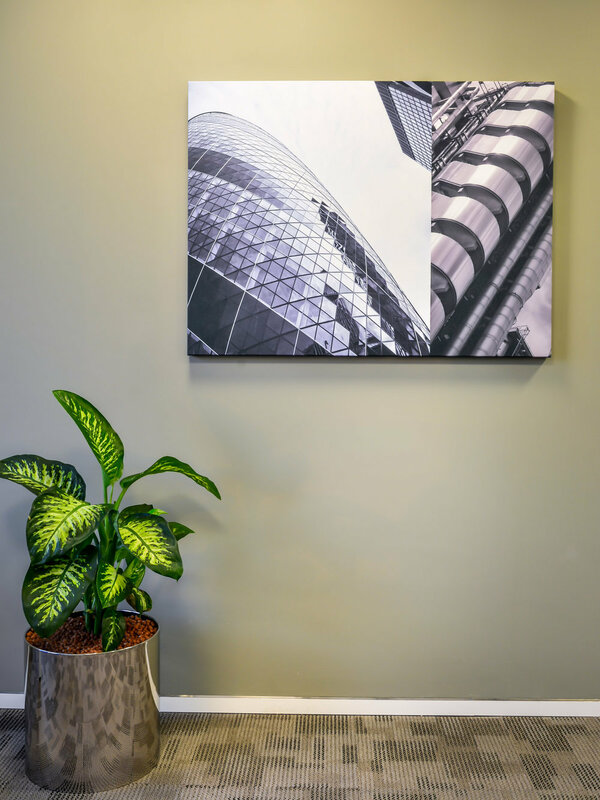 Representing the cities where Regus is located, a series of photographic prints on canvas were selected of global iconic buildings for the offices. Within the same canvas one city was featured, yet two images of different buildings from that city were juxtaposed in varying photographic styles offering different perspectives. 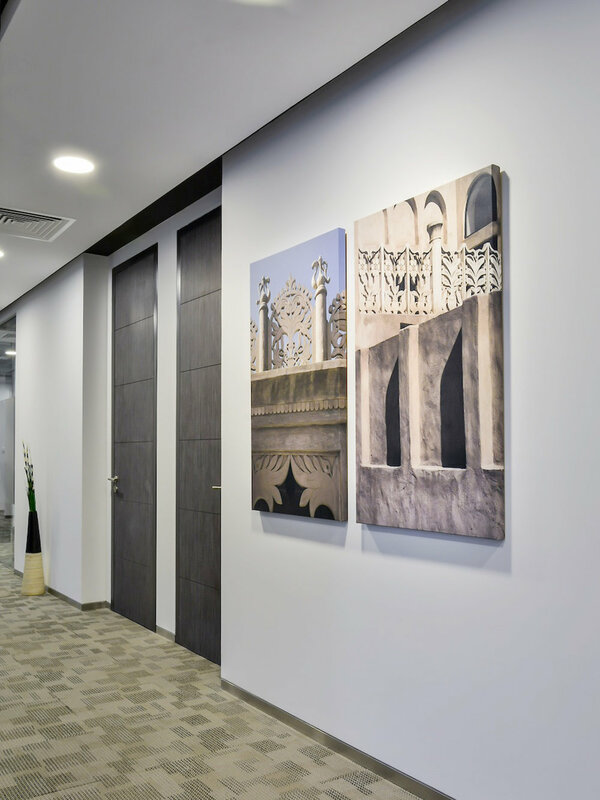 In the corridors, photographs printed on canvas were selected of traditional life and architecture of the Emirates, thus complementing the theme throughout the offices and giving a local perspective. Well known for his photographs of Emirati culture, lifestyle and architecture, Capsule Arts worked with local artist Paul Thuysbaert for the corridor artworks. For the iconic buildings series, Capsule Arts creative team worked effectively to source imagery and create a diptych arrangement.